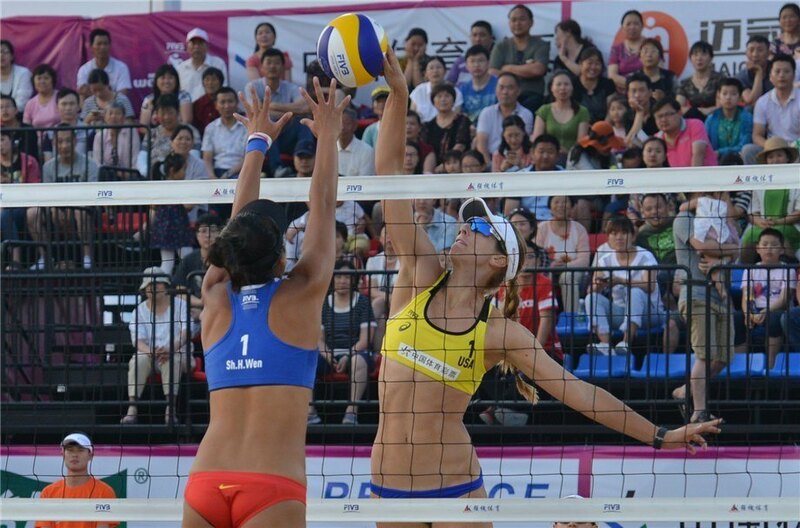 The 1-star FIVB World Tour event in Aalsmeer, the Netherlands is set to begin on October 26 with the qualification round that will include three American duos, along with two teams in reserve. Emily Stockman/Kimberly DiCello and Betsi Flint/Kelley Larsen will represent the women’s side of the tournament along with Miles Evans/Bill Kolinske on the men’s side. Sitting in the reserve are Amanda Dowdy/Irene Pollock and Eric Zaun/Mark Burik. Stockman/DiCello and Flint/Larsen will start their tournament run directly into the main draw while Evans/Kolinske have to fight their way through the qualification rounds. This past season, Flint/Larsen won two gold medals at 1-star tournaments while other American crews have accounted for five quarterfinal appearances. At last week’s event in Qinzhou 3-star event, Kolinske partnered with Burik in which they finished towards the end of the pack, earning 120 points and $1,500.oo.